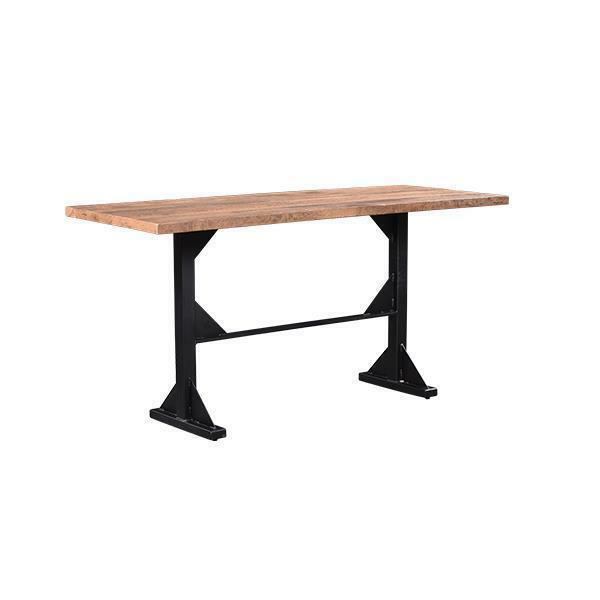 Bring home a piece of american history with this Reclaimed Barn Wood Portland Bar Table. This table is handcrafted in america with century old reclaimed barnwood. The table top is made of barnwood and the base is a metal. This bar table is a wonderful combination of old world meets modern. 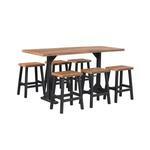 Complete any room with this beautiful table. Wood: 100 Year Old Barn Wood - Wood Type will Vary You can expect to see nail holes, cracks, saw marks, water marks, worm holes, sun spots, and dents as they are authentic and represent the natural characteristics of the wood. Please contact our Amish furniture specialists for any questions or comments you may have at 866-272-6773.